Illinois, Forget Everything You Know About Insurance! We launched back in September 2016 in New York, and ever since, we’ve put nationwide expansion as our priority #1. Today, we’re launching Lemonade renters insurance policies for anyone in Illinois, from Chi-Town to Springfield, and everywhere in between. We expect to have homeowners policies available in a few weeks, and we also hope to announce new states soon! 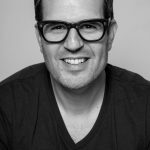 Six months ago, Lemonade launched a new type of business in New York that has transformed the way people buy insurance. Ever since, people across the country have been asking Lemonade to come to their states too. Lemonade has answered the call – and their next big market is Illinois. I spent four years as Deputy Governor of Illinois. As we all know, Illinois politics has more than its share of problems and frustrations, but for me, one of the worst was a culture of bureaucracy, cost overruns and inefficiency plaguing state government. If there’s one industry even worse, even slower, even more bureaucratic, it’s insurance. Now that I’m a venture capitalist, when I saw what Lemonade had to offer – no paperwork, instant claims, and far cheaper premiums – becoming part of the team as an investor and advisor was a no brainer. And the more time I spend with the company, the more convinced I am it can transform the entire industry. Zero Paperwork: Lemonade’s team spent months researching how traditional claims were handled by humans in old insurance companies and flipped the script by creating an instant claims bot named “AI Jim.” The algorithms that power AI Jim immediately understand the nature of claims, their severity, and whether the user is facing an emergency. Instead of filling out and filing endless forms, users just have to have a quick chat with AI Jim and their claim is handled. Efficiency: Insurance companies are run by people, tens of thousands of them, filling out endless forms, faxing paperwork and playing phone tag. The net result of that is it takes months to get a claim paid. Lemonade speeds up the claims process by using bots instead of brokers and AI instead of agents. They even set a world record and paid a claim in 3 seconds. No more waiting. No more paperwork. Cutting Costs: Lemonade can be 80% cheaper than other leading insurance companies. As a truly digital insurance company, Lemonade’s costs are far lower than their competitors and so are their premiums. Those savings get passed on to customers, both people who already have homeowner or renters insurance and want to pay less or people who were turned off by the paperwork, high cost and slow claims payment and never bought insurance in the first place. Renowned behavioral economist Prof. Dan Ariely became a founding team member and his research was integrated into the product to truly transform insurance from a necessary evil into a social good. Fully convinced but not living in Illinois or New York? You’re in luck – Lemonade has made national expansion a top priority, and is looking to launch state-by-state throughout the next year. Track your state’s progress at Lemonade Goes Nationwide. Trust is a public good- as long as we all contribute to it- we all benefit. But once we stop contributing, the system collapses. Fraud wins. For the first time in ages someone is setting out to design an insurance experience with the aim of bringing out the very best in people. 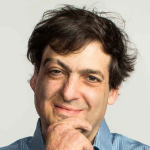 Dan Ariely is taking on insurance, and the industry may never be the same again. There’s one area which is still largely ignored by AI innovation, and that is the organization itself. I want to let you in on some of the secret stuff that drives our unique claims experience. The World is Flat. Insurance is Round. Our mission is a global one, and our means to go global lie in our being a digital pure-play.